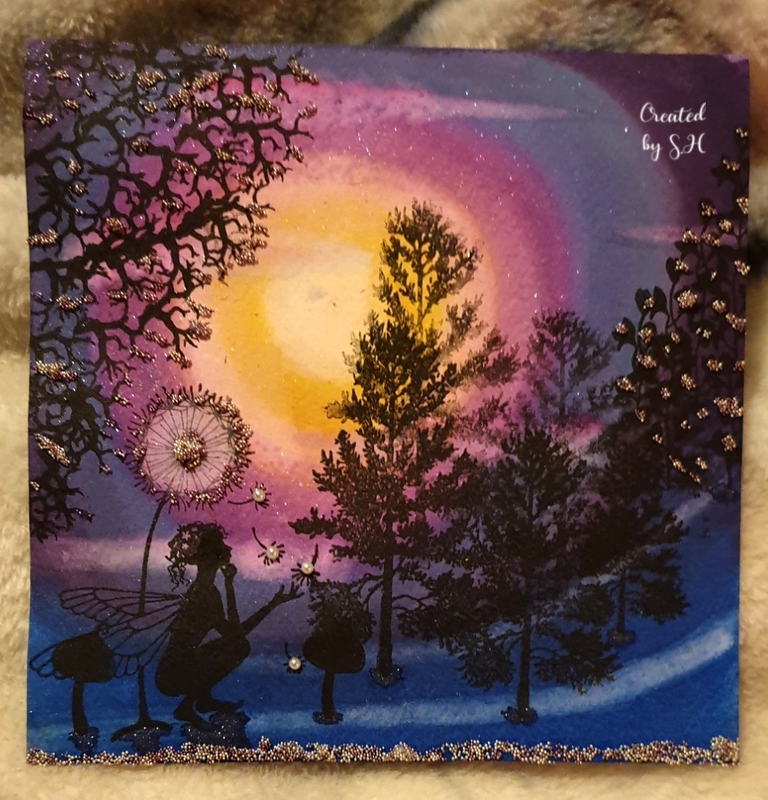 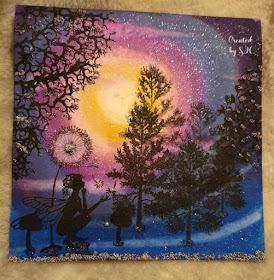 This scene was created using crafters companion sparkle pens for the background . what a very stunning scene and such a very beautiful design. The colours and sparkle are so pretty and gorgeous.